Mega Man 11 is now locked in for an October 2 release date on PC, PS4, Xbox One, and Switch -- now all we have to do is wait. Or, pay up for a special edition version of the game. In the US, you don't have very many options for that due to nonsense exclusivity deals that force fans to pick up a special GameStop bundle -- currently, it's the only way to get the amiibo in the region. But in Japan, you can not only pre-order the amiibo as a standalone figure, but choose between two different special edition packages. First up is a $90 edition for Switch and PS4, which includes the game, a 64-page production note book, a 30th anniversary keychain, a piggy bank, a collector's box, and postcards (if you get it from e-Capcom's store). Plussing up to $120 will net you the amiibo, a 32-page starter guide, and a cloth poster. 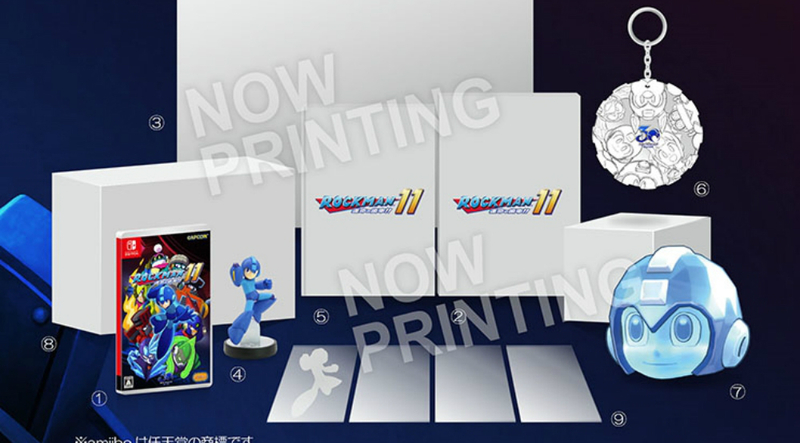 The bank is totally cute (it's a smiling Mega Man head) and even though I'll never use it I kind of want it!